Cute doodle christmas stickers. 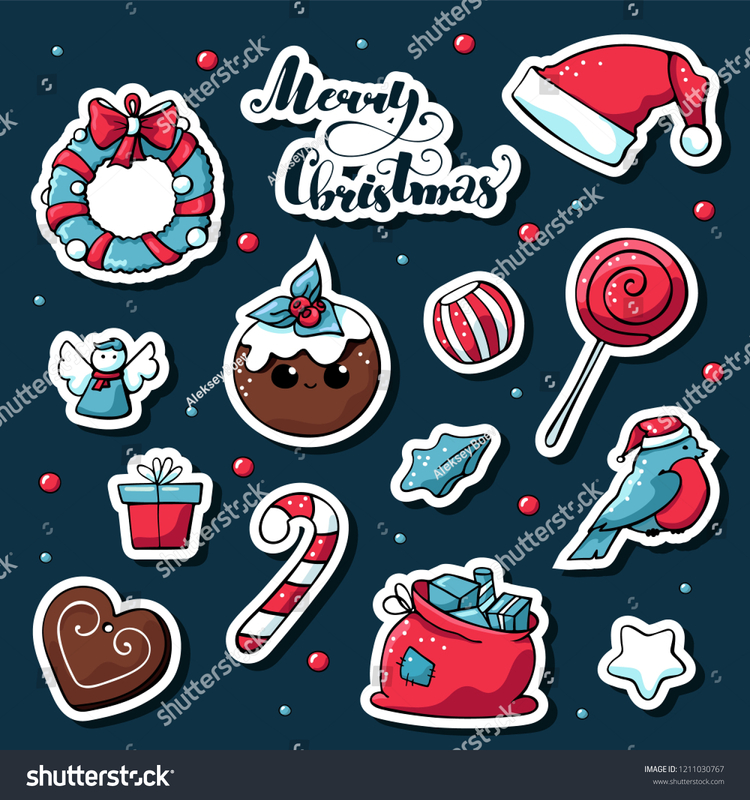 Vector hand drawn images of candy, candles, star, gift, santa Claus hat, сhristmas cake, gingerbread. Merry christmas lettering.